As November drew to a close, Sandwich Technology School hosted its annual ‘Celebration of Achievement’. Governors, staff, students, family members and community representatives gathered for the occasion, which is recognised as a highlight of the school year. In addition to receiving examination certificates, students were presented with awards for endeavour, excellence and their wider contribution to the life of the school. 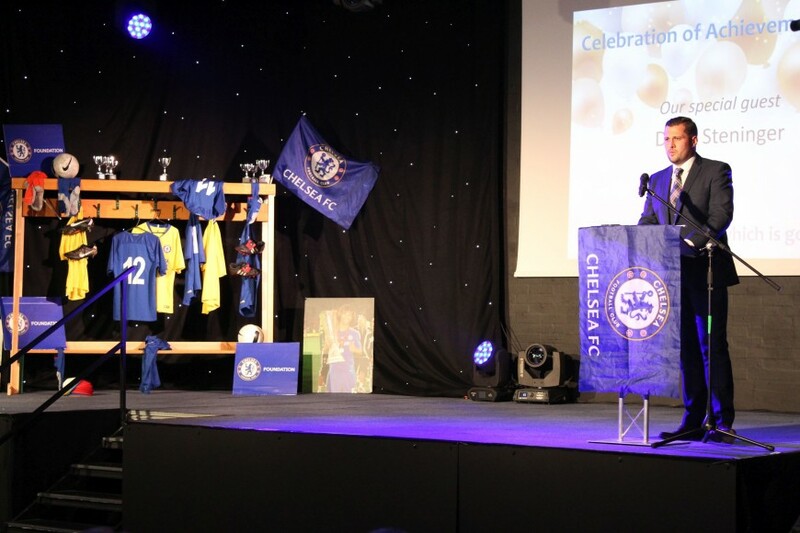 The 2018 guest speaker was Dean Steninger, who is Workforce Development Officer for Chelsea FC Foundation. This was particularly appropriate as the school has long-established links with Chelsea through the flourishing STS Football Academy. 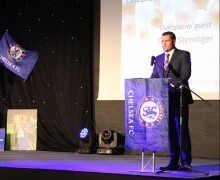 In his very entertaining speech, Dean told of his career path from Yeovil College to the present day. He expressed his pride that he was able to combine his work for Chelsea with other roles at both St Mary’s University and the Football Association and explained “I am extremely passionate to make a difference and to guide young individuals in the right direction”. In congratulating the students, the Headteacher, Tracey Savage, said: “I have seen first-hand the determination, resilience and hard work displayed by so many of our guests tonight. Experience has taught me that those three things will carry a person far in life. I am confident that the promise shown by you all can become reality – your future looks good.”. 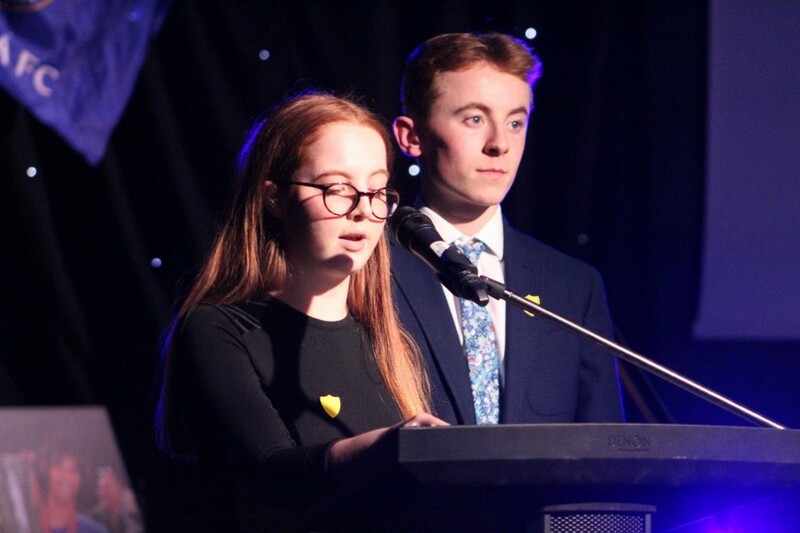 The event was hosted by the Head Students – Layla Crick and Joe Griffiths – and the evening was punctuated by excellent performances from Jack Rogers and Olivia Caspell, Megan Pentleton, Emily Miller and Ferdinand Proyer. Prize winners included Ryan Batchelor, who not only secured 10 GCSEs, but received awards for excellence in Mathematics, Chemistry and Physics as well as the Endeavour College award for academic achievement and The Headteacher's Award for Academic Distinction in Key Stage 4. Alex Munteanu received The Headteacher's Award for Academic Distinction in Key Stage 5 recognising her A Level achievement in Criminology, Psychology and Sociology (which had secured her a place at the University of Kent) and Hollie Townsend was proud to be presented with The Gill and David Robertson Sixth Form Prize for Sport. Hollie had excelled within the Football Academy, securing a Distinction* in all elements of her BTEC Sports Science (Triple Award). 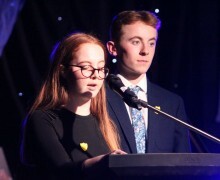 Last year’s Head Boy, Reece Harber, and Head Girl, Jessica Phipp, were also honoured with The Governors’ Award for their service to the school.